In medium bowl with spoon, mix cream cheese, crabmeat, garlic, pepper sauce, chopped basil and oregano until well blended. Spoon into serving bowl. Cover; refrigerate at least 30 minutes to blend flavors. Garnish with oregano or basil sprig. 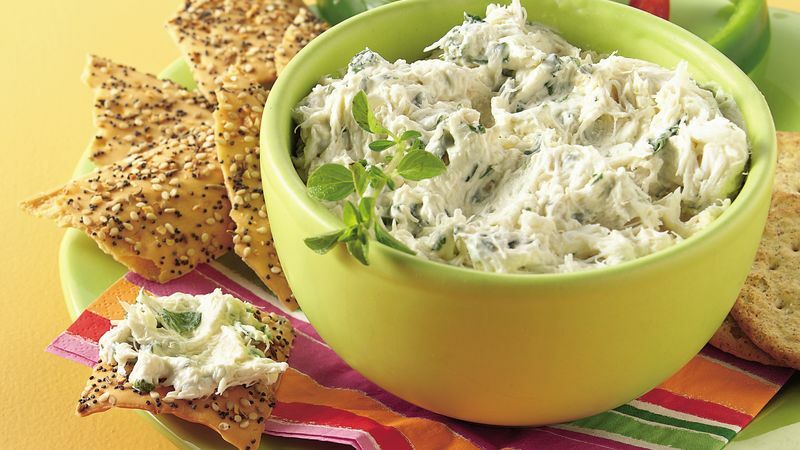 Serve crab spread with crackers. Increase the amount of red pepper sauce for more zip.